3. 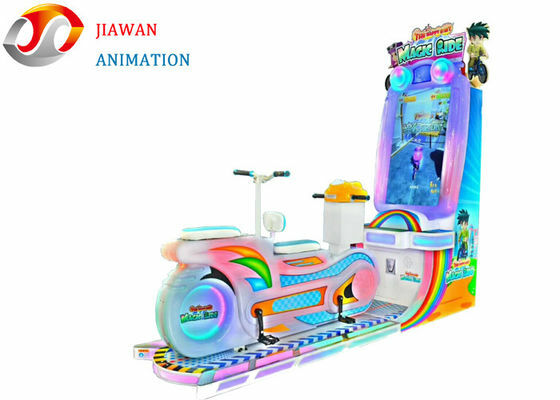 And Than Press The Button To Start The Game ,The Speed Of Riding Keeps The Same With The Character In Game,During The Game ,Control The Speed Of The Ride Bicycles To Match The Game ,And Attack The Target And Avoid The Barrier. 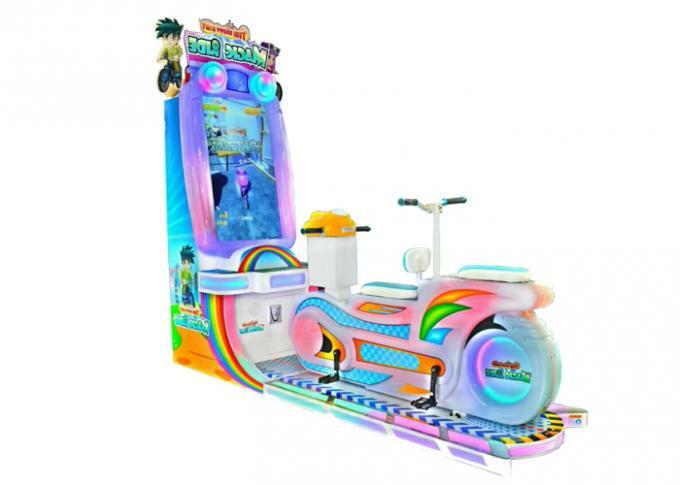 The World’s First “Double Bike” Game Machine! Hd Picture Quality, Changing Water Lights, Riding On The City’s Transparent Glass Track. Two People Riding At The Same Time, Then You Can Enjoy a Different Speed. See a Monster In Front? Press The Attack Button! Remove All The Obstacles In The Road! After Eating The Flying Props, You Can Also Have The Chance To Contact The Stars In The Sky!